At the exhibition’s opening, David Pollock, the Chair of the Artweeks Board made a speech to attendees where he looked forward to a successful Artweeks festival as well as admiring the exhibits at the taster event. 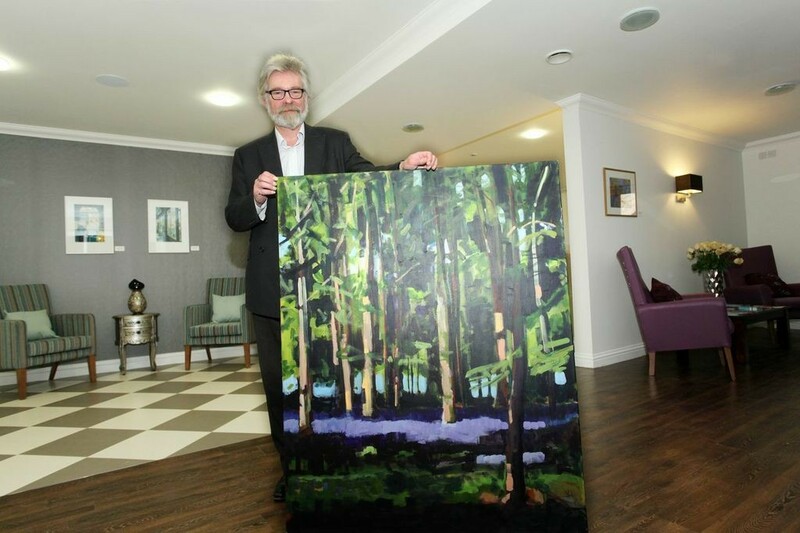 The event is testimony to the growing relationship enjoyed between The Riverly Club and Artweeks, with The Riverly Club sponsoring the festival which takes places throughout May. Additionally, several pieces of art from local artists adorn the social club’s décor. The Riverly Club lies adjacent to and is partnered with Bridge House, a stunning new care development offering the highest standard of residential, nursing and dementia care for up to 71 residents. Residents of Bridge House can access The Riverly Club facilities, creating excellent opportunities for socialising and building and maintaining friendships with older people in the wider community. “The Artweeks taster exhibition at The Riverly Club was a fantastic start to what is going to be a great festival. We were delighted to be able to admire the 18 artists’ exhibitions before the Artweeks festival kicked off.